Citations for driving under the influence of alcohol or drugs carry the daunting task of not only having to negotiate the criminal justice system, but also having to address the long range consequences of having your license suspended and your insurance rates go through the roof. The attorneys at the Law Offices of Erik Bruce are experienced practitioners in the area of DUI defense and can help you negotiate the court system and the minefield that is the Department of Motor Vehicles (DMV). DMV PROCESS: WHAT HAPPENS TO MY LICENSE? Only the DMV can suspend your license. In ten days from the date of your citation, the DMV will automatically suspend your license unless YOU OR YOUR ATTORNEY requests a DMV hearing. In this administrative action, the DMV employee acts as prosecutor, judge and jury in determining whether to take your drivers license from you. 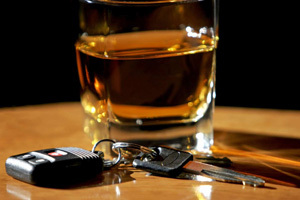 You should be represented by an experienced DUI ATTORNEY to help prevent your driving privilege from being revoked. MY CRIMINAL CASE: WHAT HAPPENS NEXT? First, let the attorneys at the Law Offices of Erik Bruce do their job while you do yours. In most cases, WE CAN MAKE ALL COURT APPERANCES FOR YOU so that you do not have to take time off from work or endure the embarrassment of having to stand up in court while the judge reads the charges against you. Second, we will sit down with you and explain exactly how we plan to defend your case. In order to find you guilty, the People must prove that you were driving and that at the time you operated a vehicle you did so under the influence of alcohol and/or drugs. In many cases, a legitimate defense can be mounted on one or both of these elements. As with other criminal matters, there are alternatives to jail and even the payment of fines. These include doing community service, electronic home confinement, work furlough, among others. Please consult our “Don’t go to Jail” page and call the Law Offices of Erik Bruce immediately. The attorneys at the Law Offices of Erik Bruce are familiar with the complexities of DUI law and can assert many different defenses to challenge the government on every element. With a defense team of lawyers, investigators and experts, we will use our TWENTY YEARS OF EXPERIENCE protecting your rights. Please see our resources page for further DUI information including school and program locations.